Dr. Robert D. Willix, MD. Dr. Robert D. Willix Jr. is a former board certified cardiac surgeon who pioneered the first open heart surgery program in South Dakota. He has been a practicing physician since 1969 and also served as associate professor of surgery at South Dakota Medical School. After graduating from Boston College, Dr. Willix engaged in medical research at Seton Hall University. He did his M.D./Ph.D. program and earned his medical degree at the University of Missouri Medical School. Dr. Willix completed his surgery internship, general surgery and cardiovascular surgery study at the University of Michigan Medical School. In 1975, he became board certified in thoracic and cardiovascular surgery. Dr. Willix served as an associate professor of surgery at the University of South Dakota Medical School and was recruited to serve as director of the Cardiac Rehabilitation and Human Performance program for the North Broward Hospital District in Florida. He was founder and director of the Willix Health Institute, dedicated to preventive and sports medicine, and he formerly served as Chief Medical Officer of Cenegenics Elite Health. He is a former team leader for the U.S. Olympic Committee and is one of 300 physicians in the country who is trained in pulse diagnosis and Ayurvedic medicine. While in private practice, Dr. Willix was awarded the Kaul Foundation Award for Excellence for his international newsletter, Health and Longevity, as well as outstanding achievement as a medical doctor in the field of preventive medicine. He is the 2009 recipient of the Alan P. Mintz award for Clinical Excellence in Age Management Medicine. He is a member of the Board of Age Management Medicine Group and a member of TEC - Chief Executives Working Together. Dr. Willix is dedicated to changing the paradigm of medicine from a disease-oriented system to a proactive, preventive health approach. Dr. Willix became certified in Age Management Medicine, AMA/PRA Level 4 Classification, Parts 1 & 2. He has completed 14 marathons, over 100 triathlons and the 1984 Ironman in Kona, Hawaii. 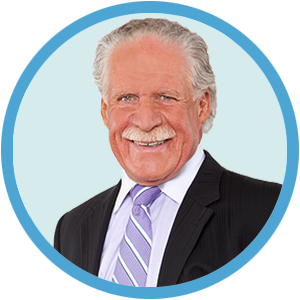 An accomplished author of five books and hundreds of articles, Dr. Willix has traveled around the country as a sought after speaker.